What is Success in Network Marketing? What is success in network marketing? This is a topic that I feel needs to be addressed. Lots of people online talk about the failure rates in our industry, but I feel that it is misleading. The things you will read online makes it sound like no one makes money and everyone has a bad experience. My goal today is to talk about what success really means, to prove that the high “failure rate” in our industry is incorrect. First and foremost, success means something different to everyone. My definition of success in this industry is probably much different than your definition. Simply put, there is no ONE universal definition of success in network marketing. Some people might say that making $2000 a month is successful, while others might say that making $10k per month is successful. Others might say that simply getting a discount on their products each month is success. Many people who join network marketing reach their goals. Once again, not everyone has the goal of making money with their business. Would you consider someone who didn’t make any money with their business a failure if they only joined to get a discount on the products? And would you consider someone else a failure if they only made enough to get their products for free each month, and that’s all they wanted to do? Or, would you consider someone who only makes $50 a month a failure when they only joined to make new friends? I hope not. I can tell you from personal experience that most people who join my team don’t join to make the big bucks. Most folks never tell me WHY their join or what their definition of success is. So, when you hear that 97% or more of all network marketers fail, don’t believe it! It’s a lie! Once again, you have to realize that everyone is different. Basing someone as a failure or success simply by their income is idiotic, especially since most people in our industry have different goals and different reasons for joining. Just something to think about. What do you think? Leave a comment below to let me know your thoughts. I look forward to hearing from you. Such a good point. It is completely unfair to judge one person’s success in network marketing based upon your own definition. Success means something different to everyone which means it will look different for everyone. Meeting our goals as you point out largely determines whether or not we are a success in our own eyes. I think we just have to make more of a conscious effort to realize that a business model that doesn’t look like our own is not automatically a failure. Success to me is having time, money and health to do what I want when I want. You are so correct; success can have many different meanings. I personally am not looking to make thousands of dollars in Network Marketing, but I am looking to do so in book writing and publishing. 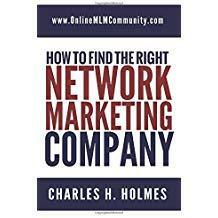 I do look at Network Marketing as a means to make it easier for me to attain what I want to with my books. For me, that would be success, but I don’t want to assume it may be that way for someone I sponsor. I believe it would help us understand other people if we asked the simple question: how do you define success? By knowing their thoughts, we may be able to help them reach it. The real key to success in this business is to find out what the other person wants and to help them get it.